The effect of flooding on land property value is a major concern of all landowners. Numerous studies have already discussed the risk of potential decline in the value of land property situated in flood-prone areas; however, those that focused on the impact of flooding on land property in Malaysia are still limited. 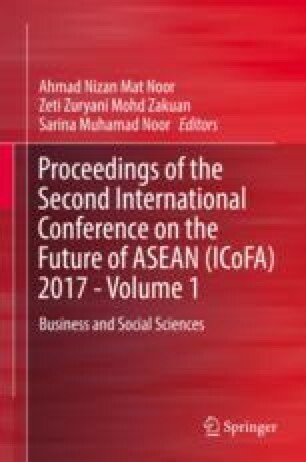 This chapter investigates the effect of flood on the value of agricultural and industrial land properties in Peninsular Malaysia. This chapter’s results suggest that a metre increase in flood depth significantly decreases land property value by 44.6%. This result helps policymakers in designing and developing the policies of land property development that would minimize land property devaluation due to flood depth and help landowners in understanding the effect of flood on land property values. The authors wish to thank the Ministry of Higher Education Malaysia for funding this study under the Long-Term Research Grant Scheme (LRGS/b-u/2012/UUM/Teknologi Komunikasi dan Informasi). The views expressed in this study are those of the authors and do not necessarily reflect the views or policies of the ministry or the project team. Any errors are the sole responsibility of the authors. City Council of Penang Island. (2015). Local Agenda 21 (2013–2014). Retrieved on December 11, 2015, from http://www.mppp.gov.my/sites/default/files/mppp_localagenda20132014.pdf. Majlis Keselamatan Negara. (2014). Kenyataan Media. Retrieved on April 20, 2015, from https://www.mkn.gov.my/page/kenyataan-media. Queensland Flood Science, Engineering and Technology Panel. (2012). Understanding the flood. http://www.chiefscientist.qld.gov.au/publications. Last accessed on 13 Jan 2013. Wee, S. T., & Ariffin, R. (2011). Kajian terhadap struktur bagi mengawal hakisan dan banjir di tepi sungai kelantan. Retrieved on September 1, 2015 from http://eprints.uthm.edu.my/2017/1/Seow_Ta_Wee_2.